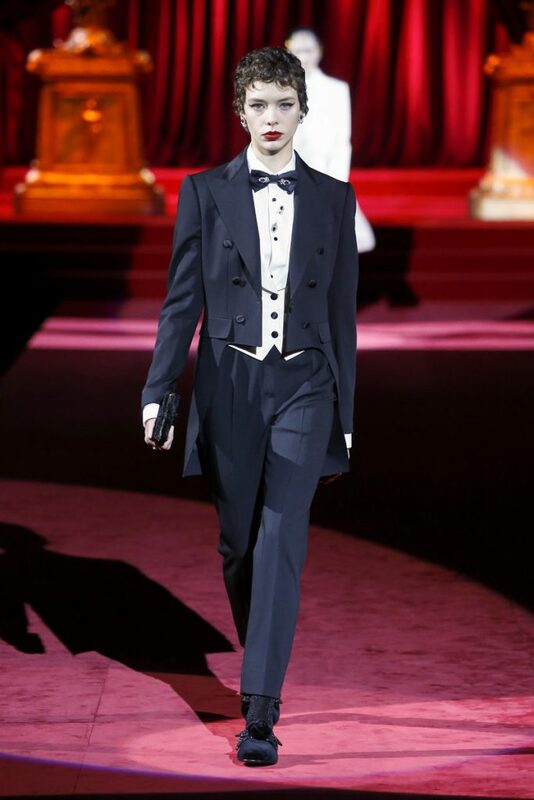 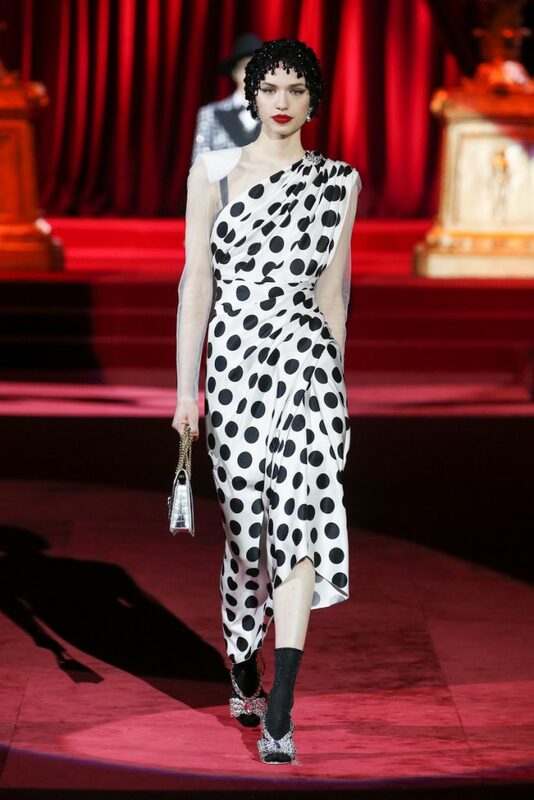 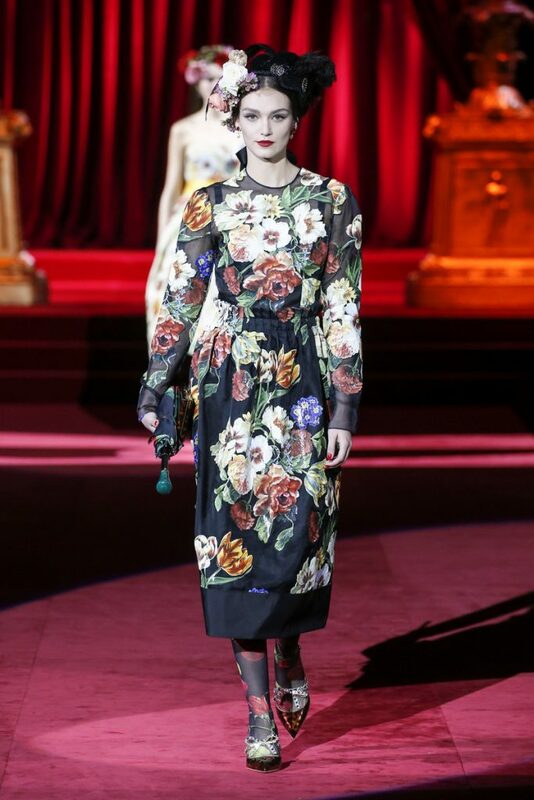 No less than 127 looks filled up the Dolce & Gabbana runway today. 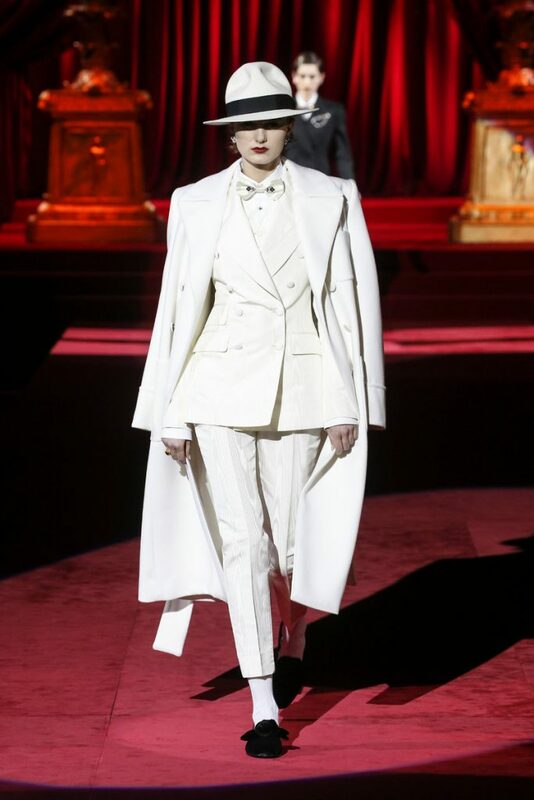 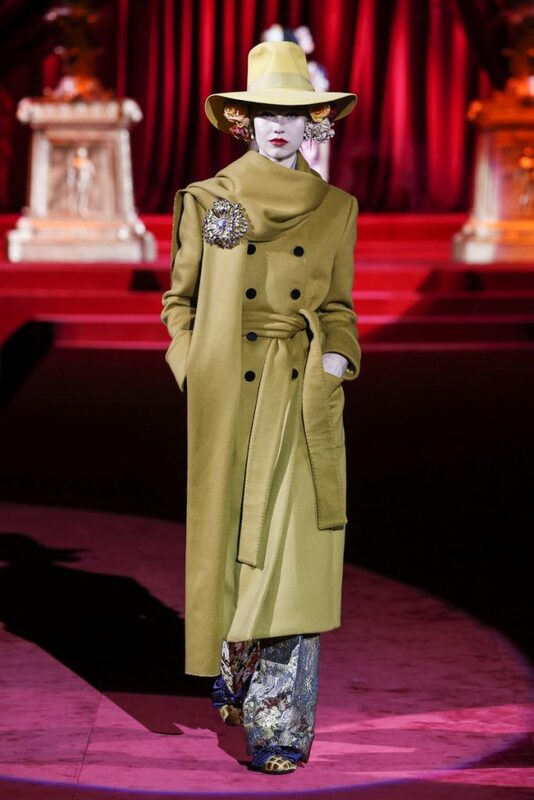 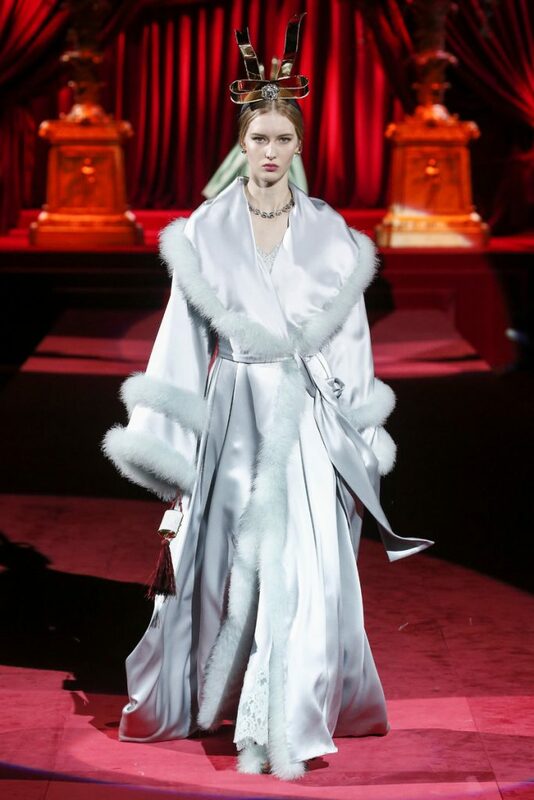 Together they formed the fw2019 collection “Eleganza” which was divided into several signature Dolce themes. 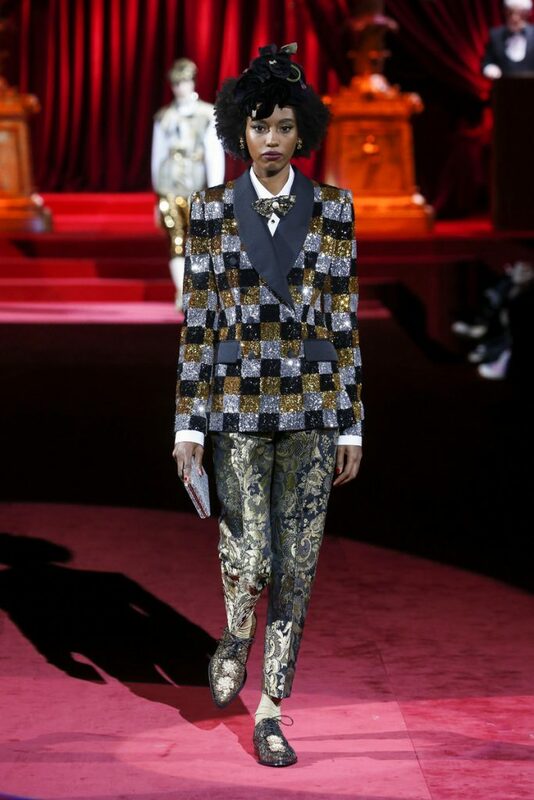 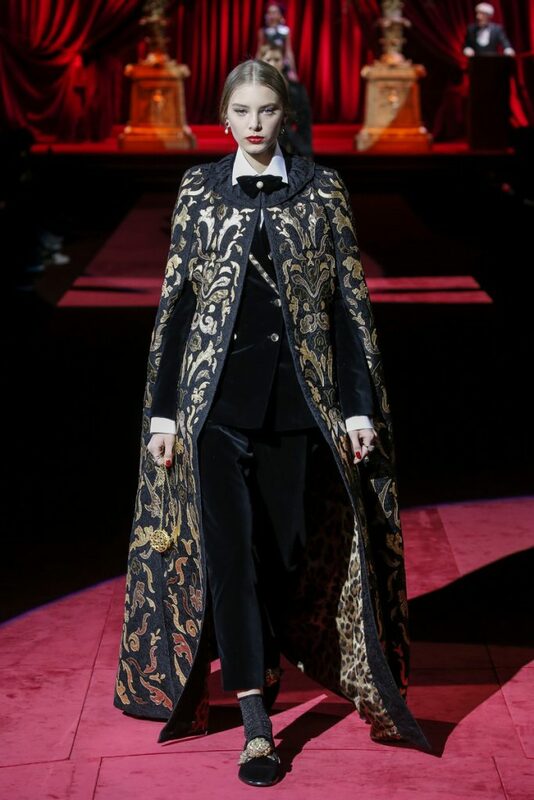 Like leopard print, brocade and tailored clothing. 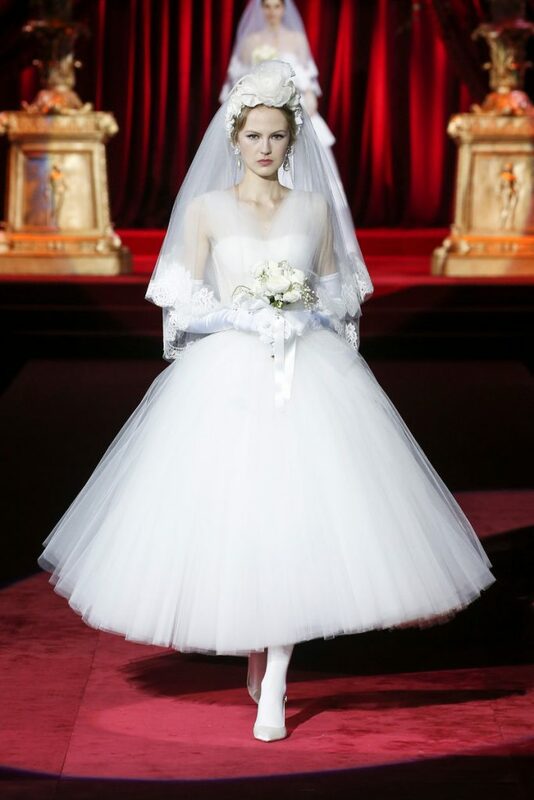 There was even a bridal section. 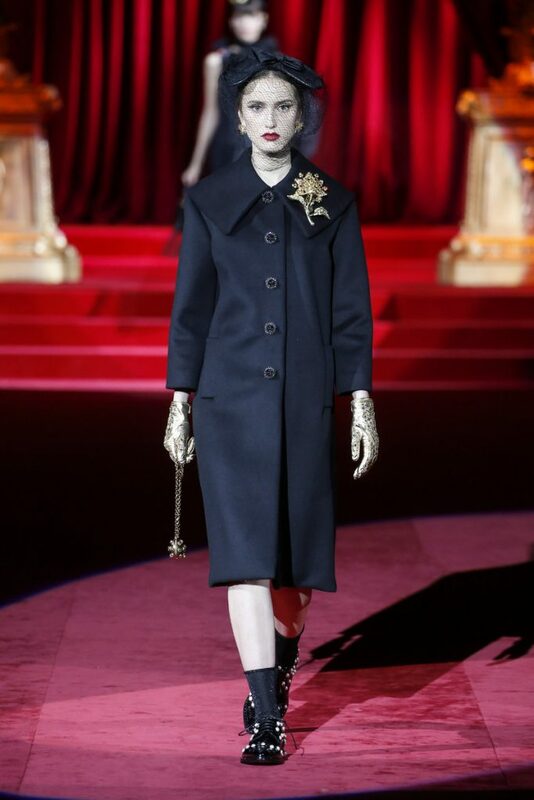 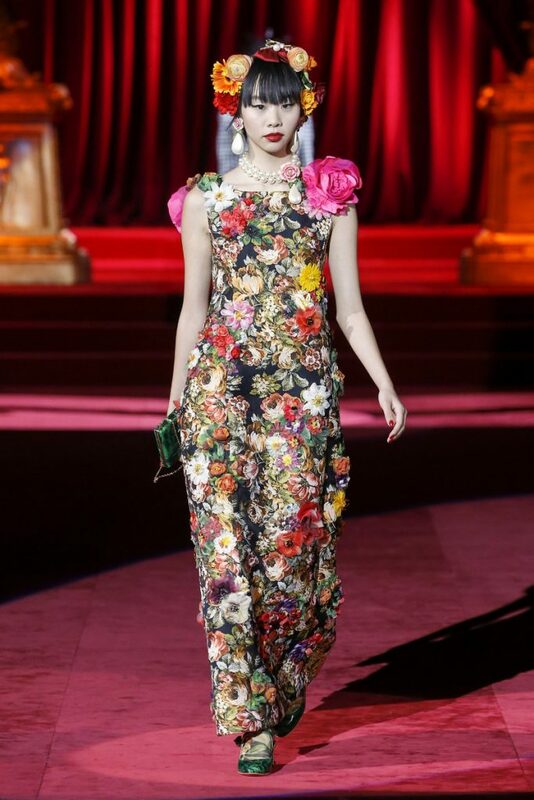 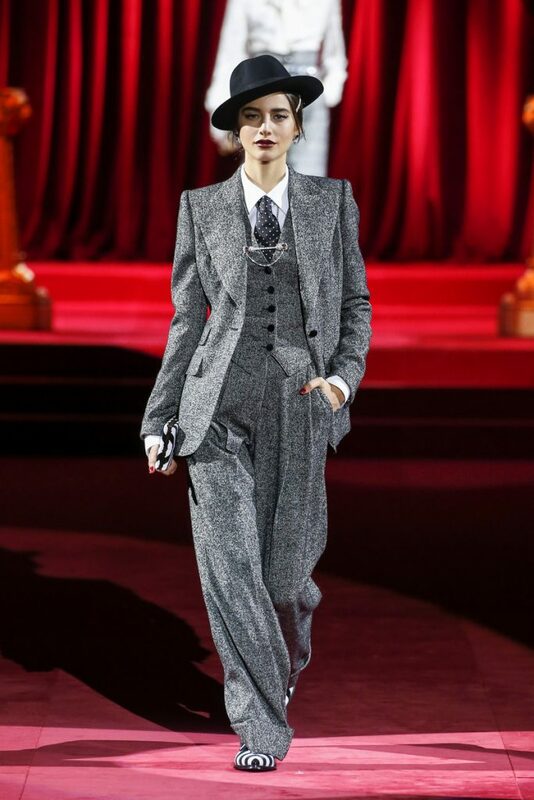 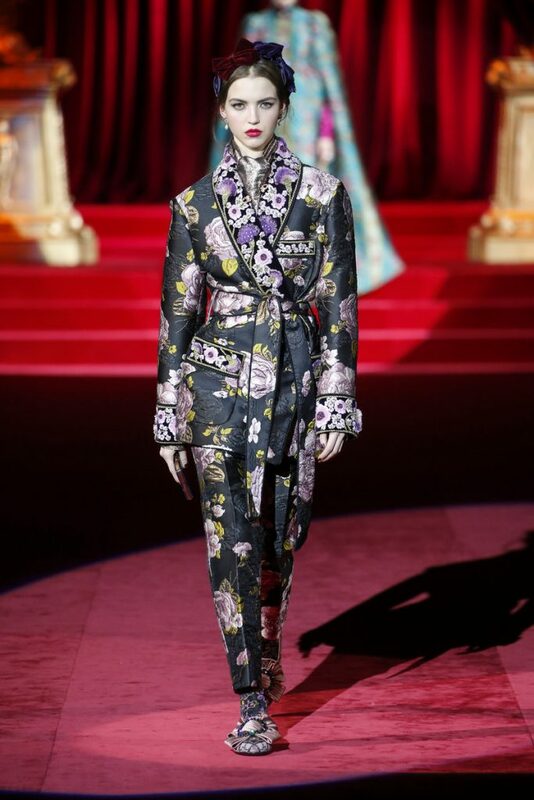 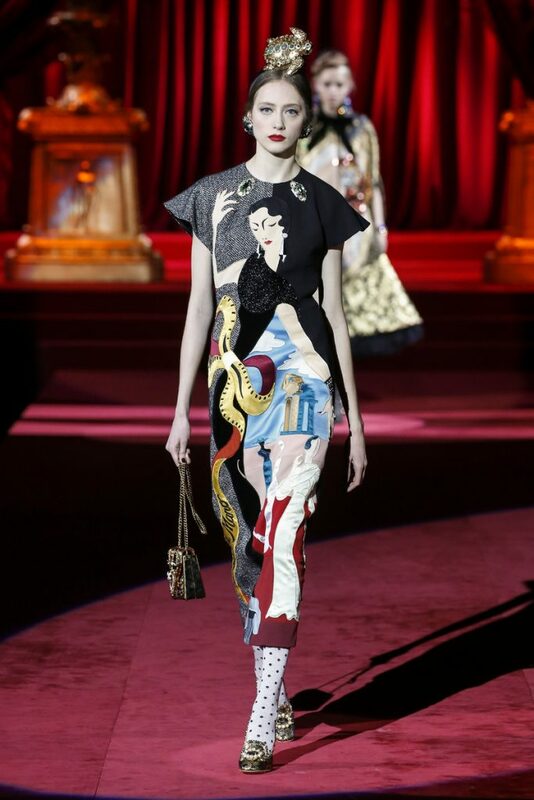 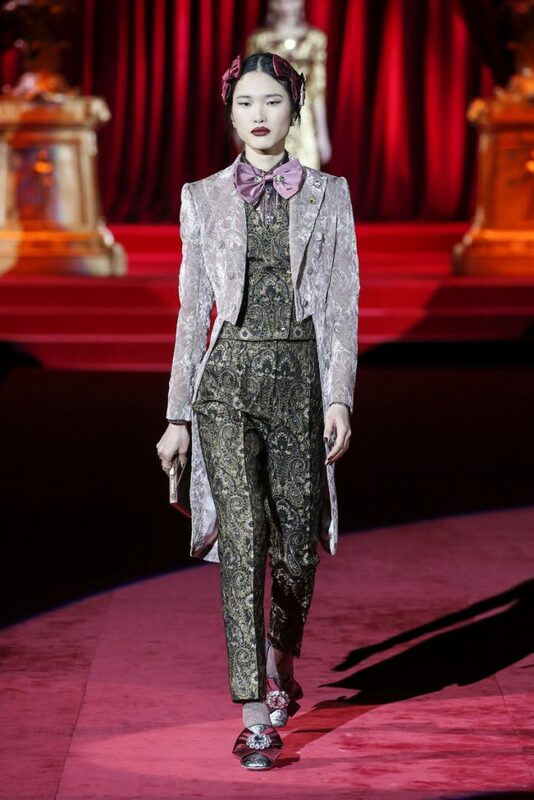 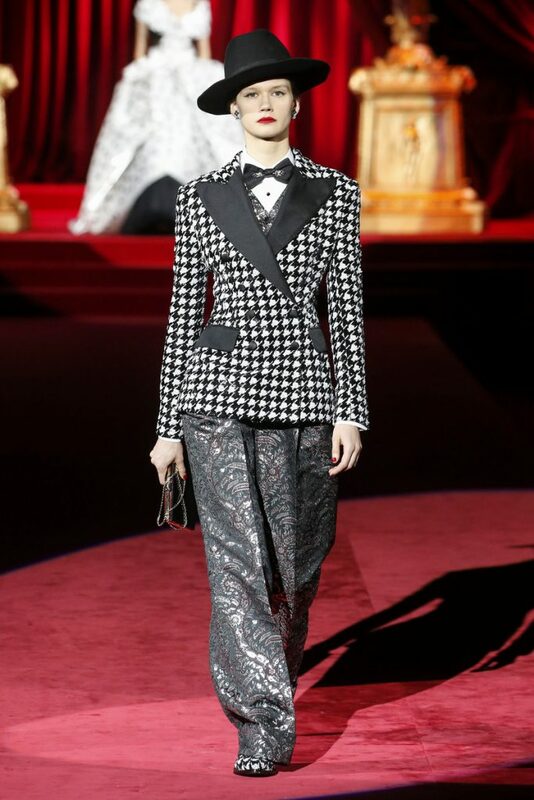 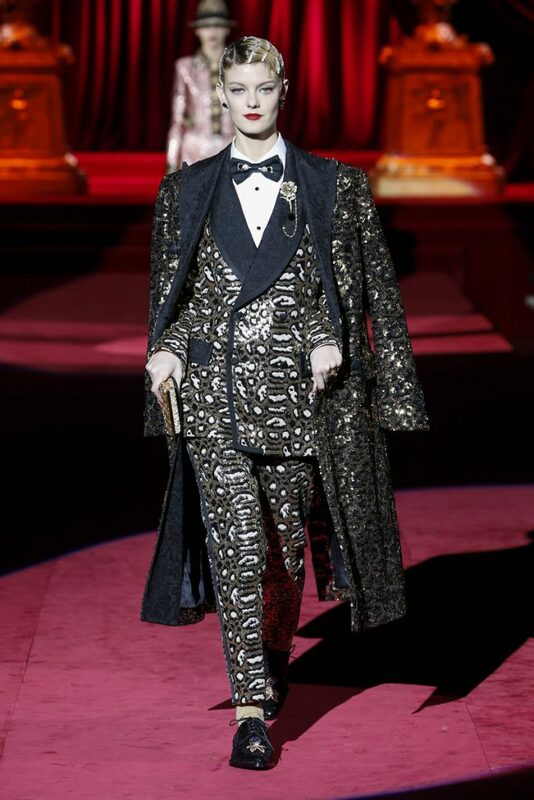 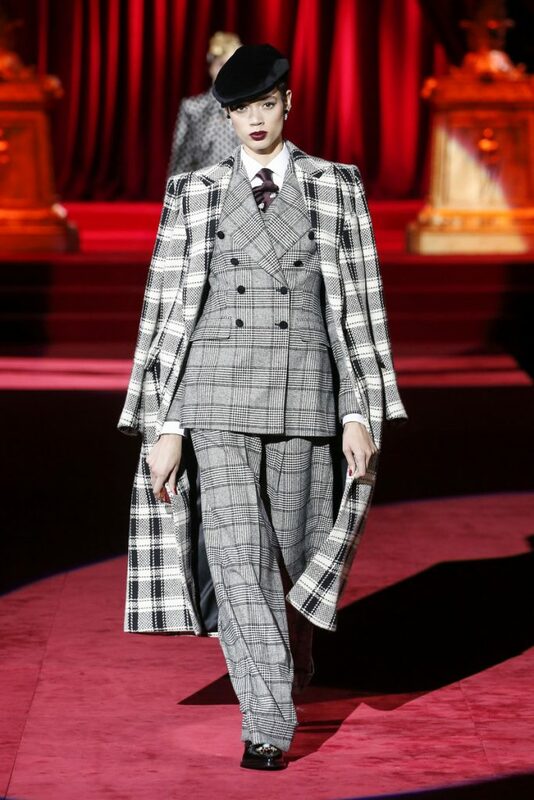 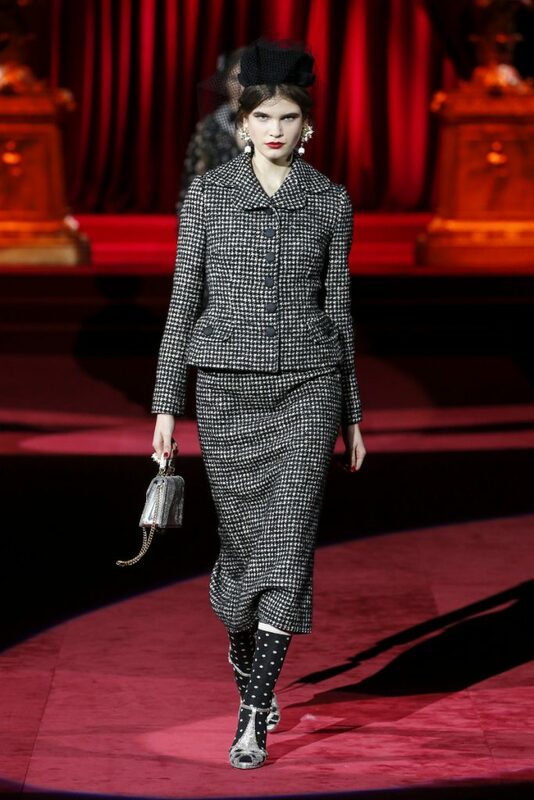 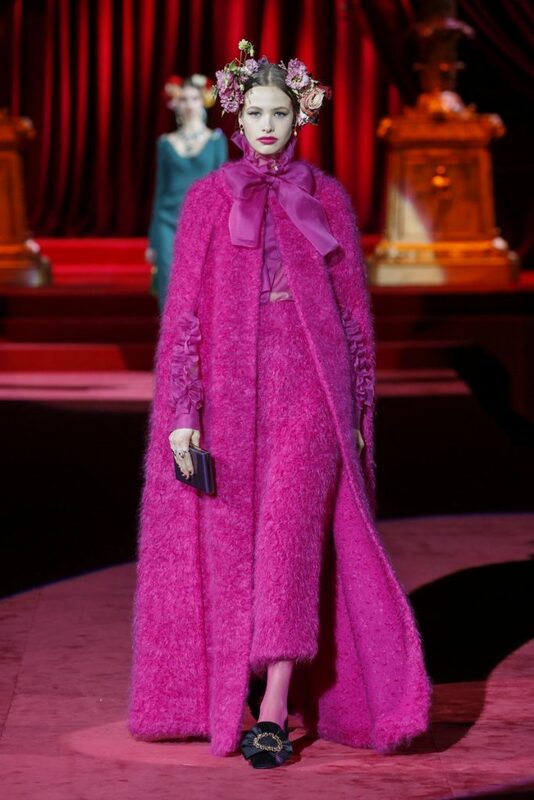 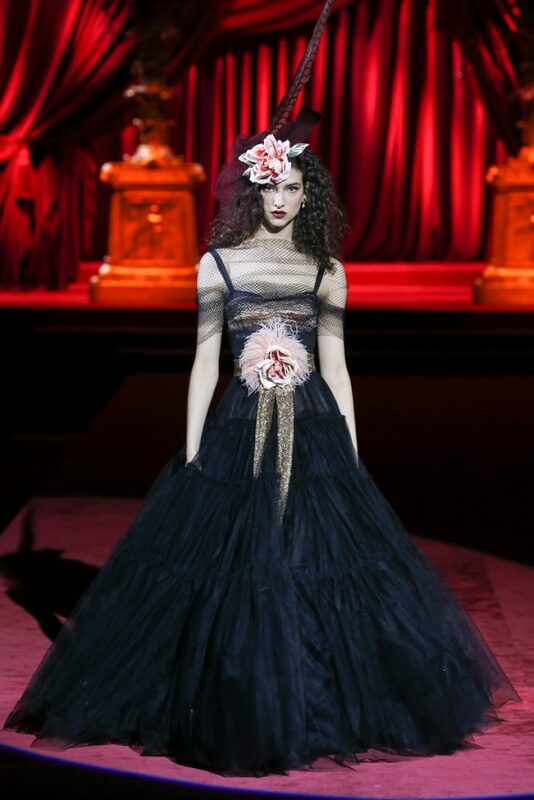 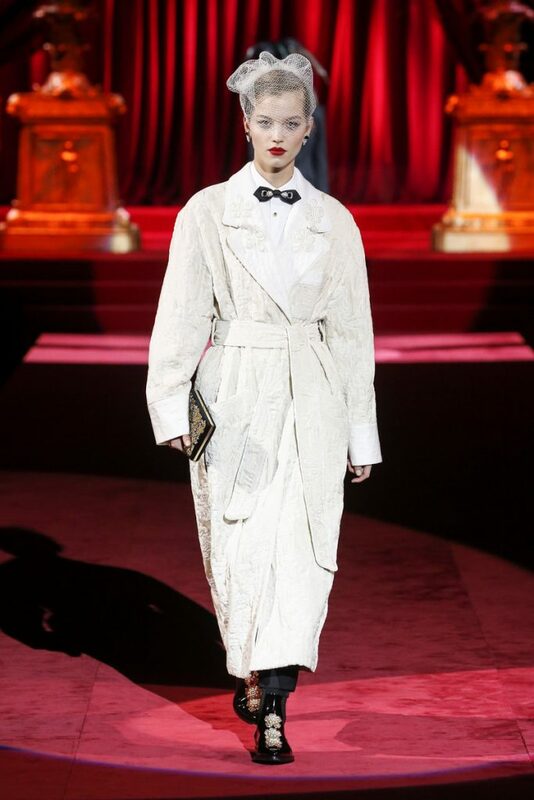 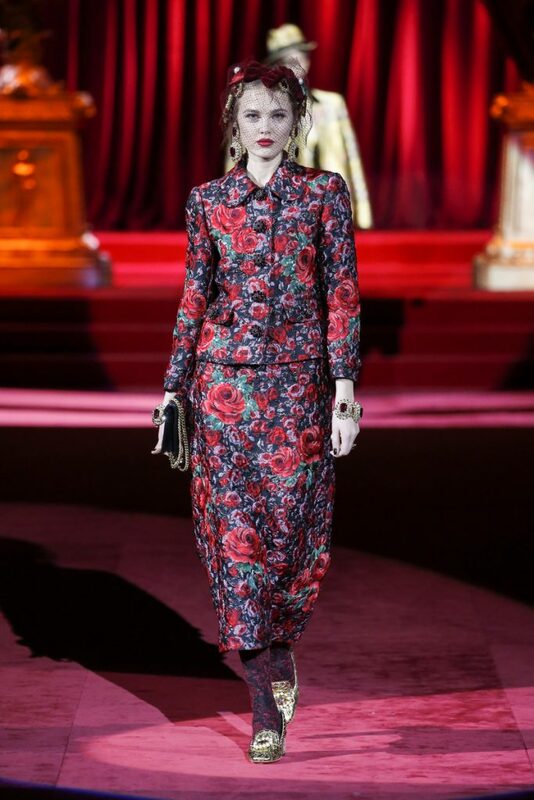 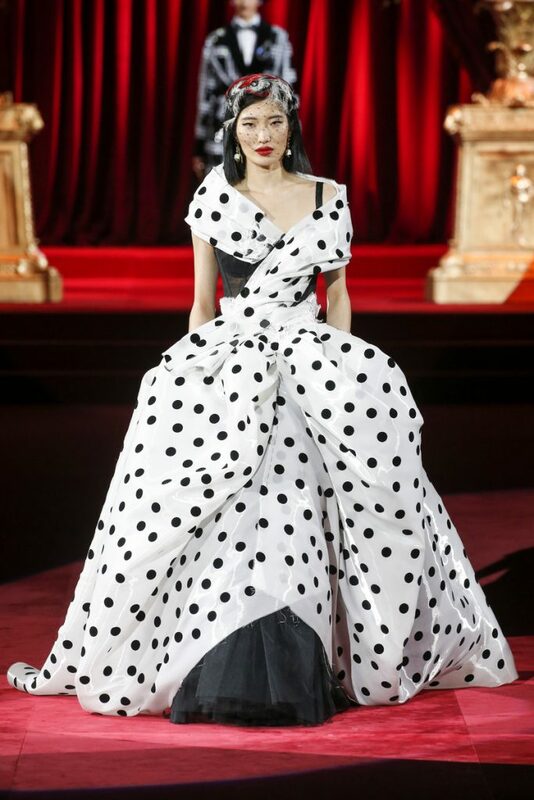 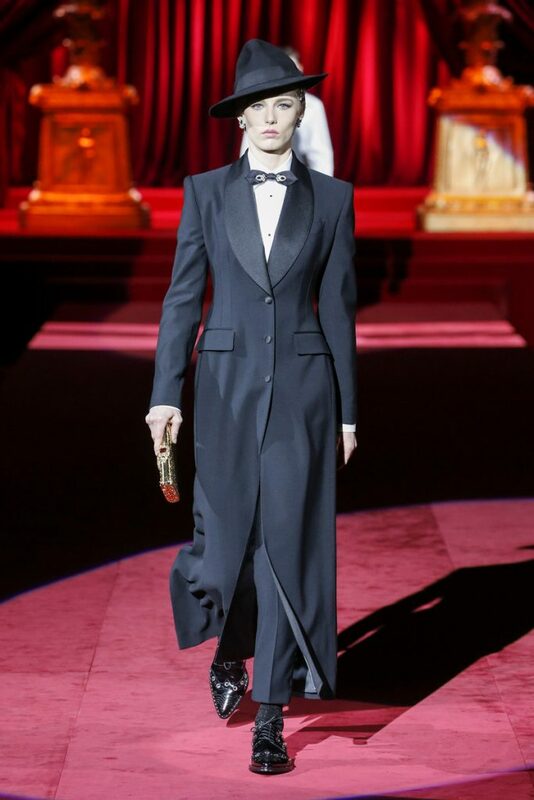 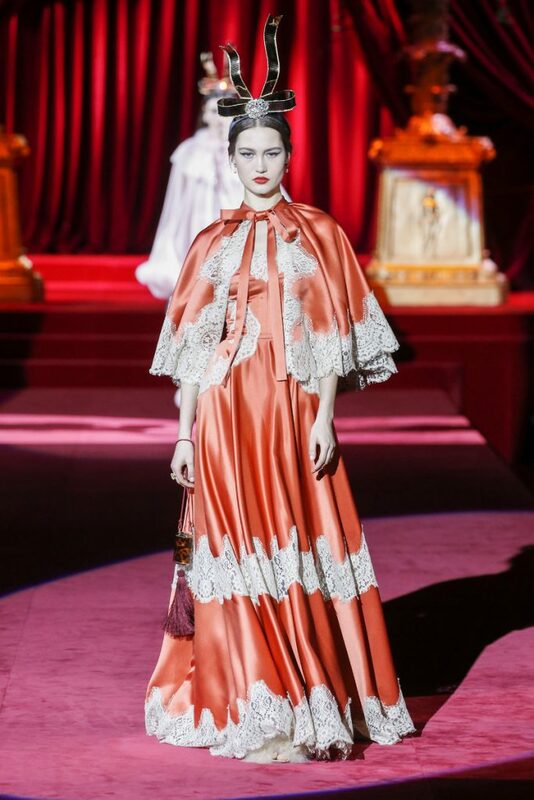 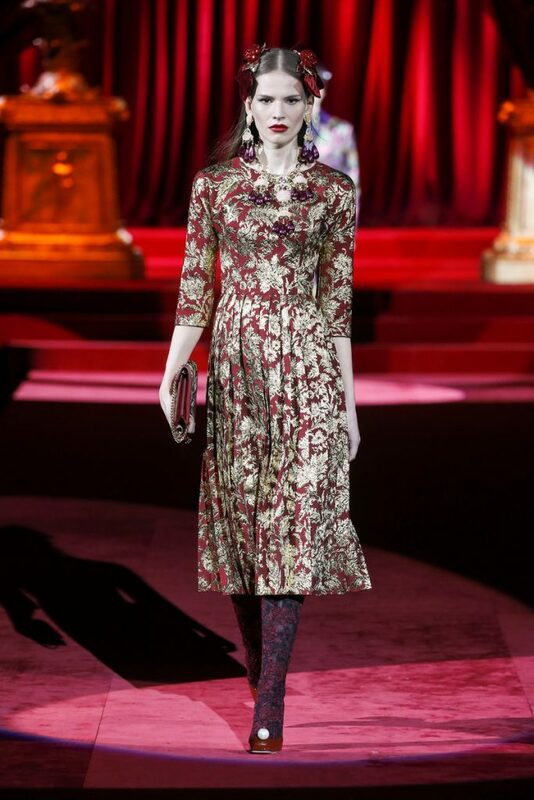 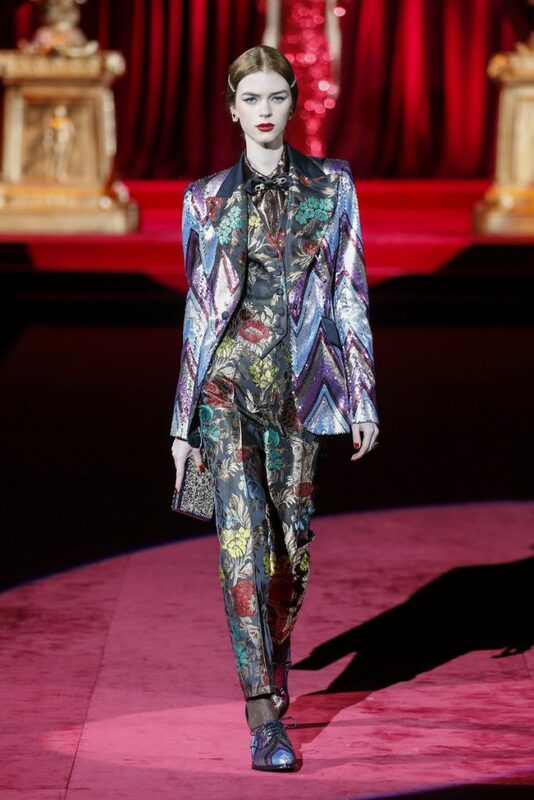 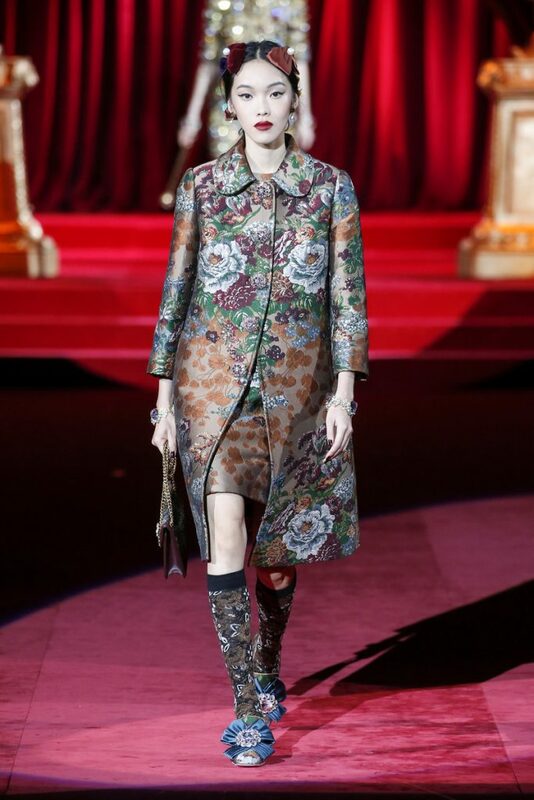 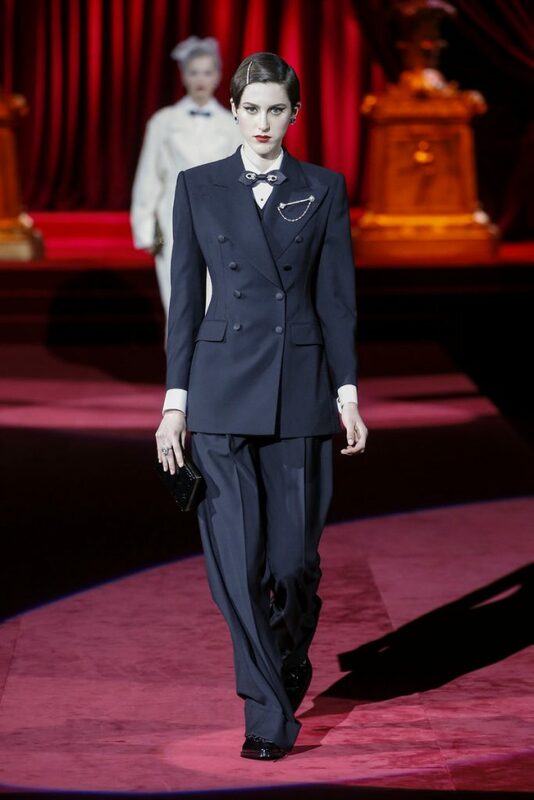 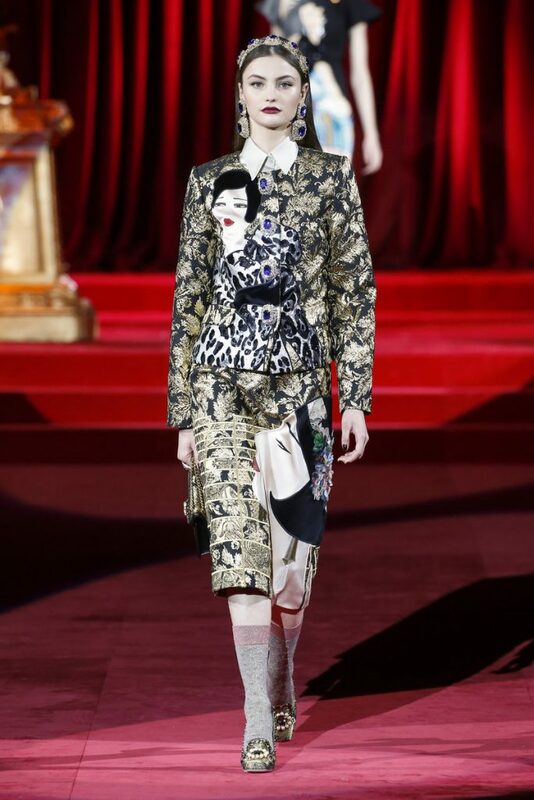 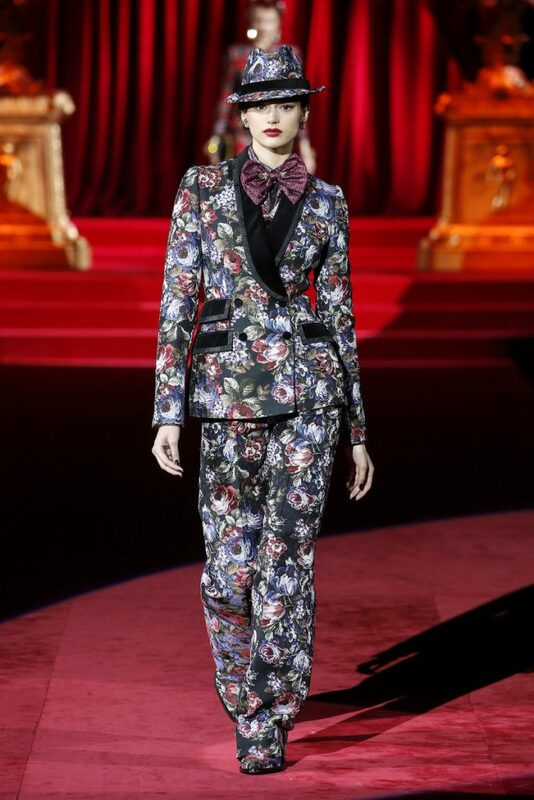 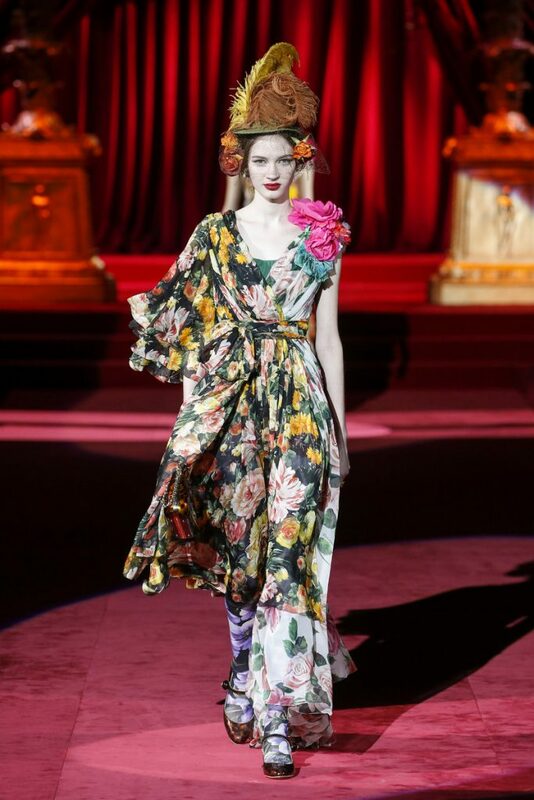 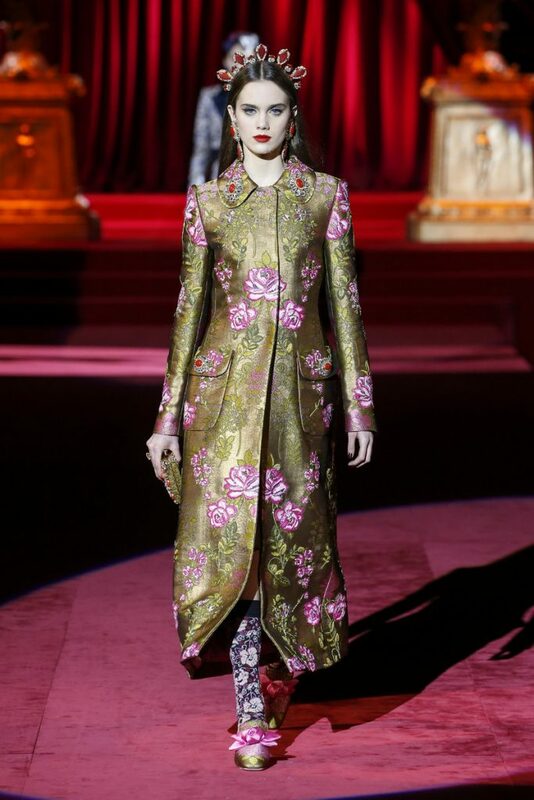 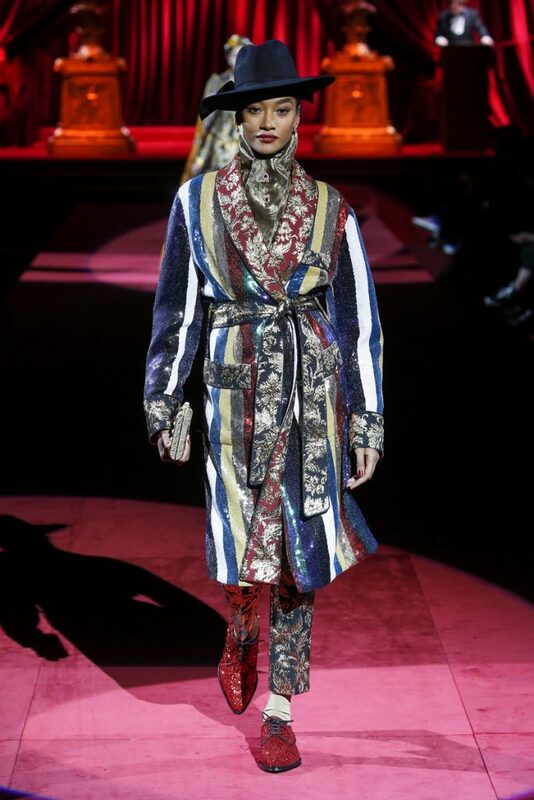 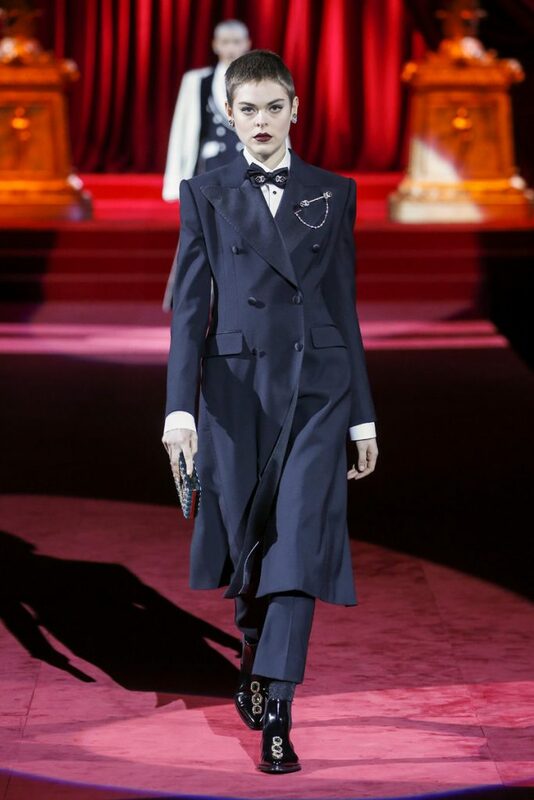 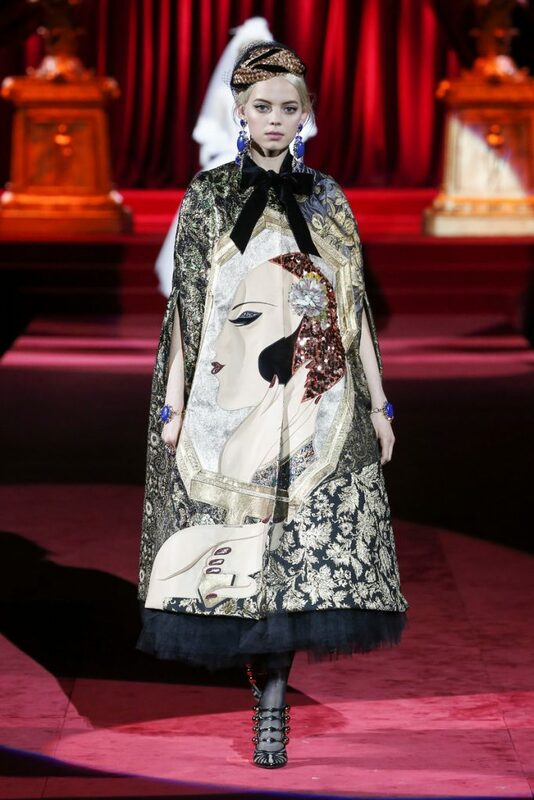 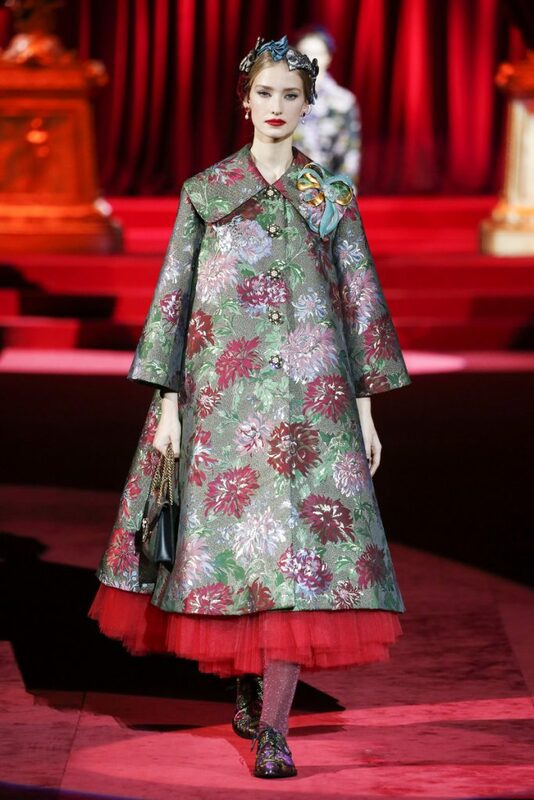 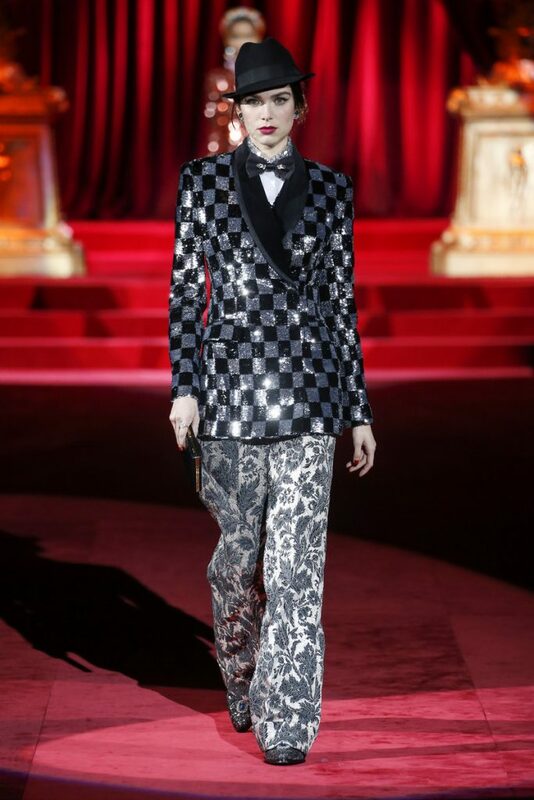 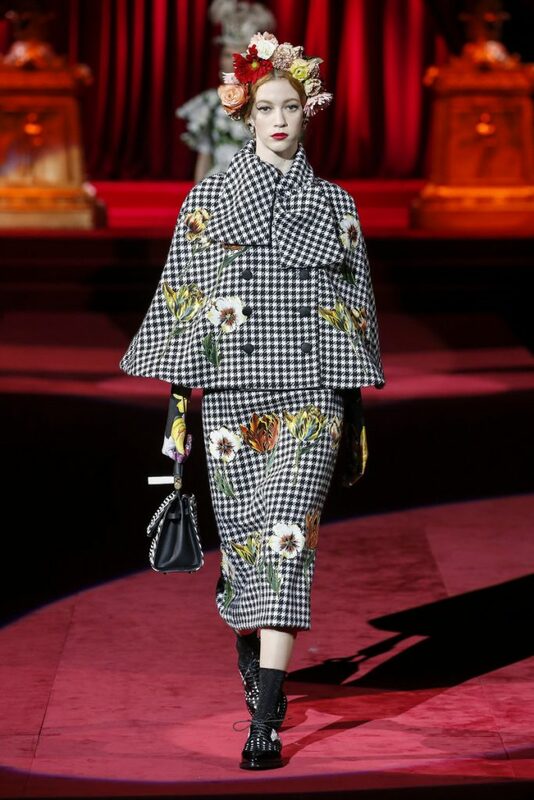 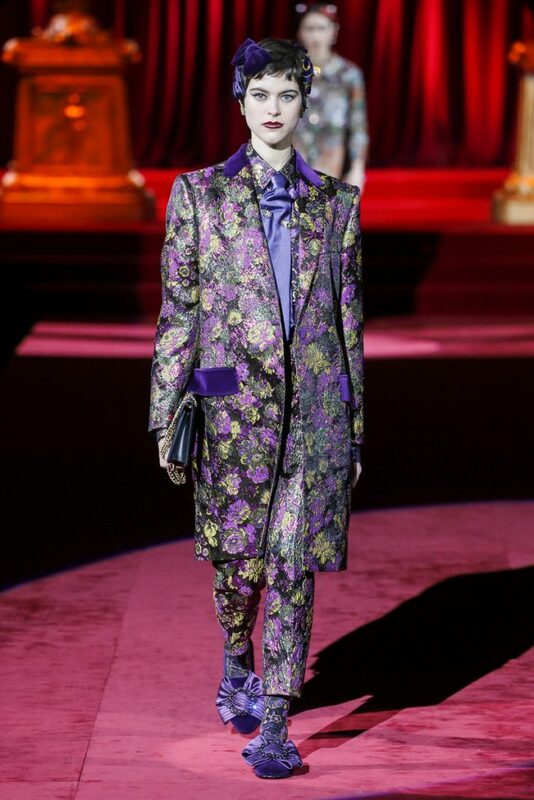 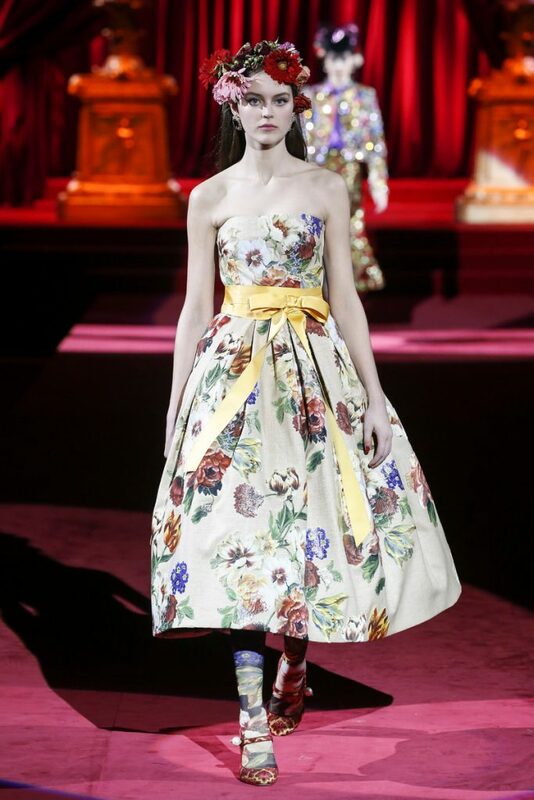 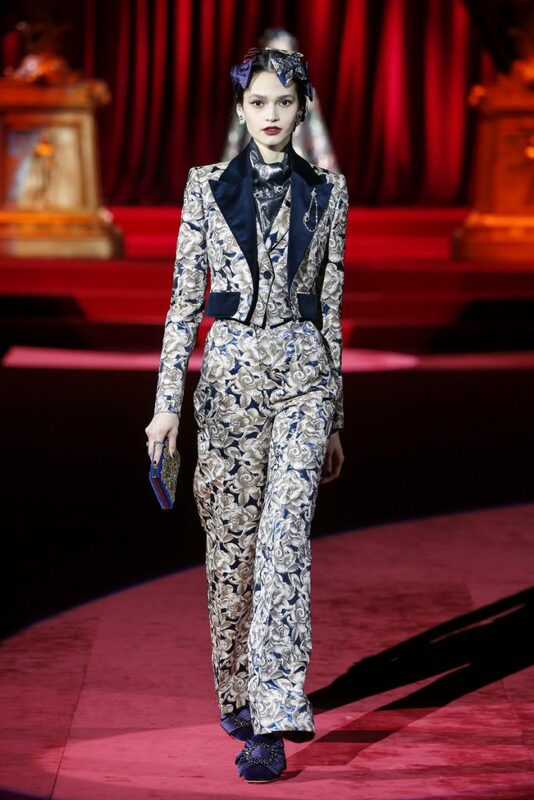 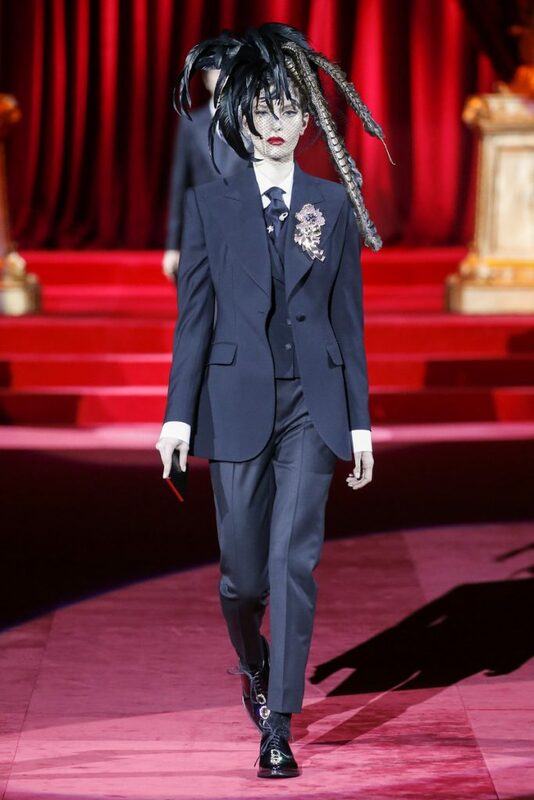 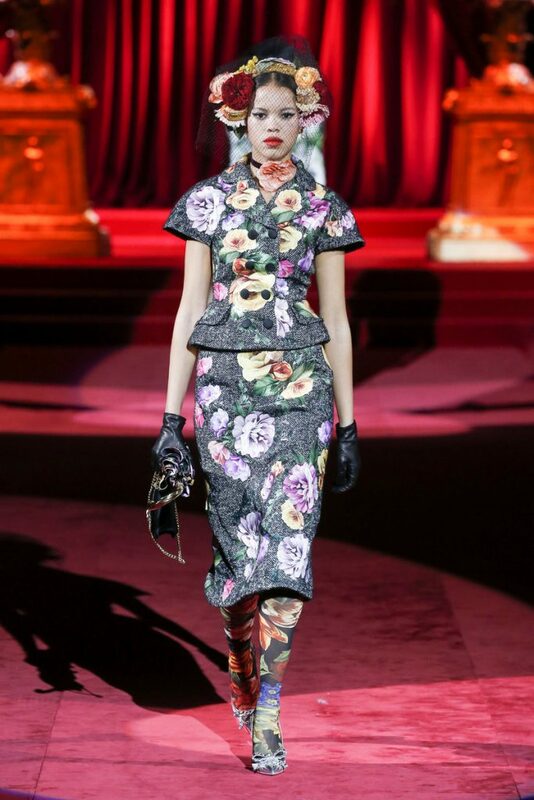 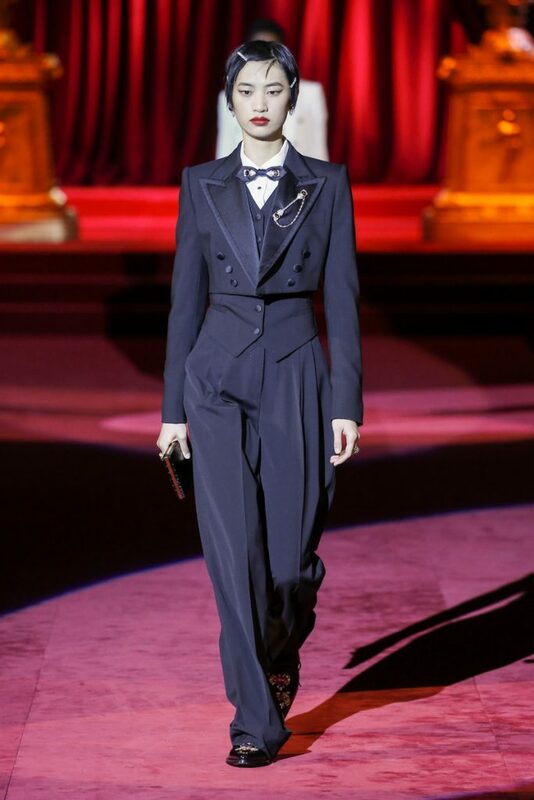 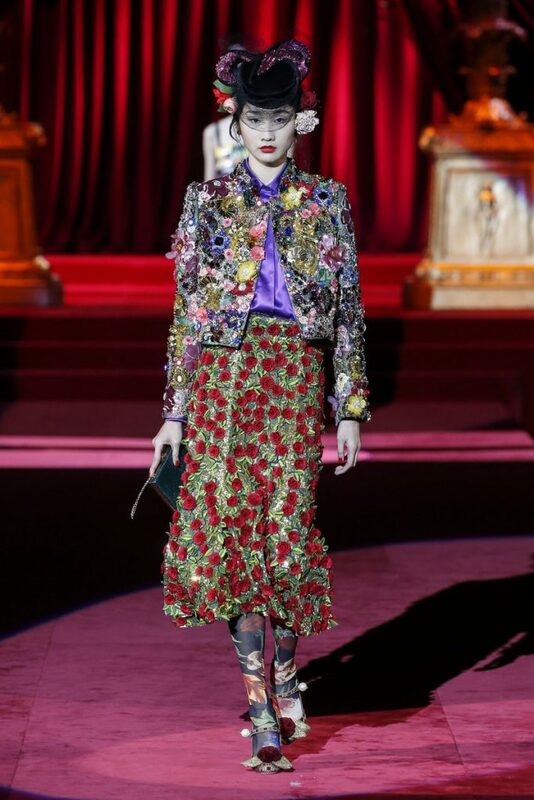 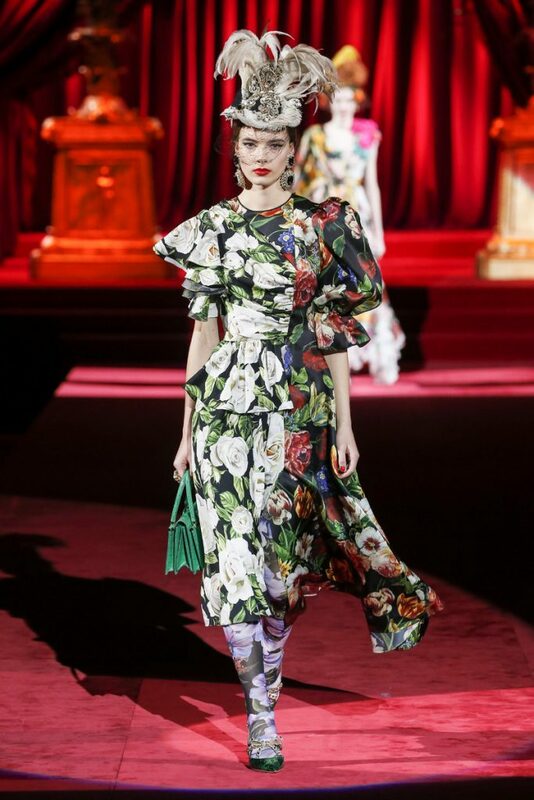 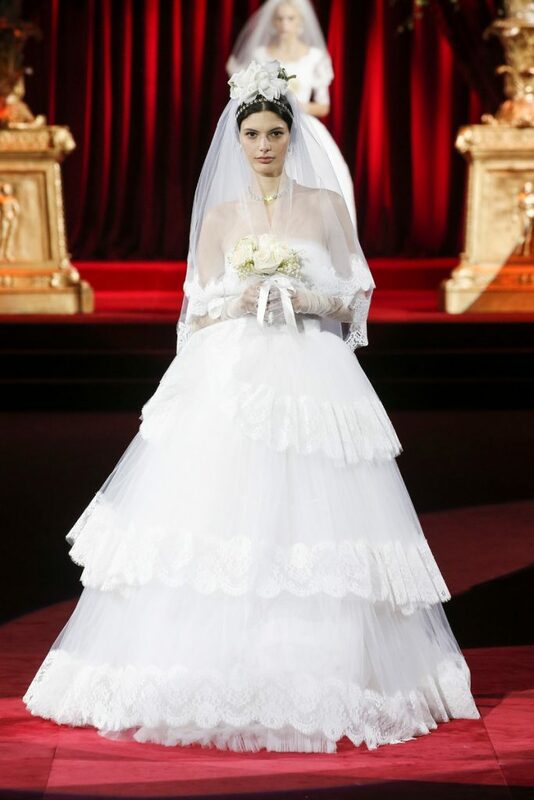 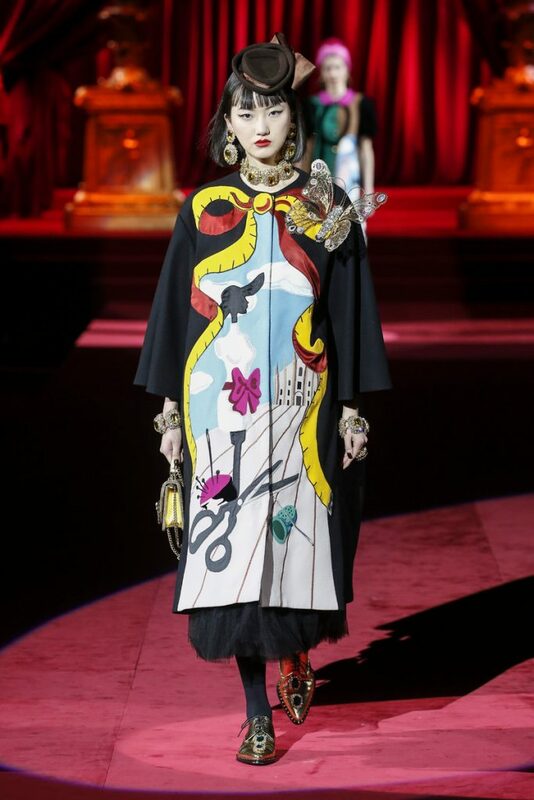 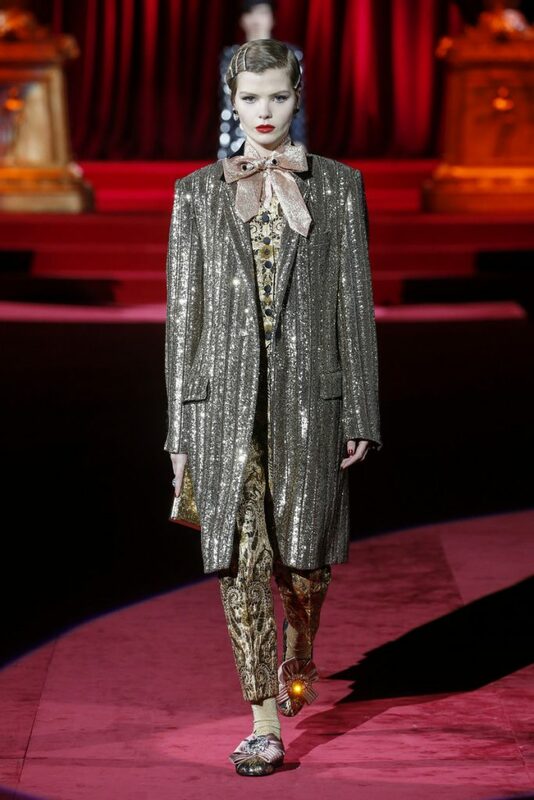 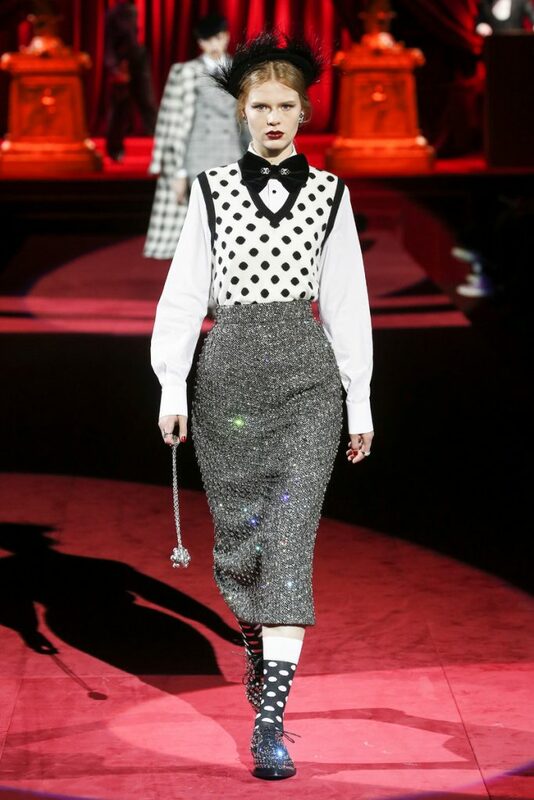 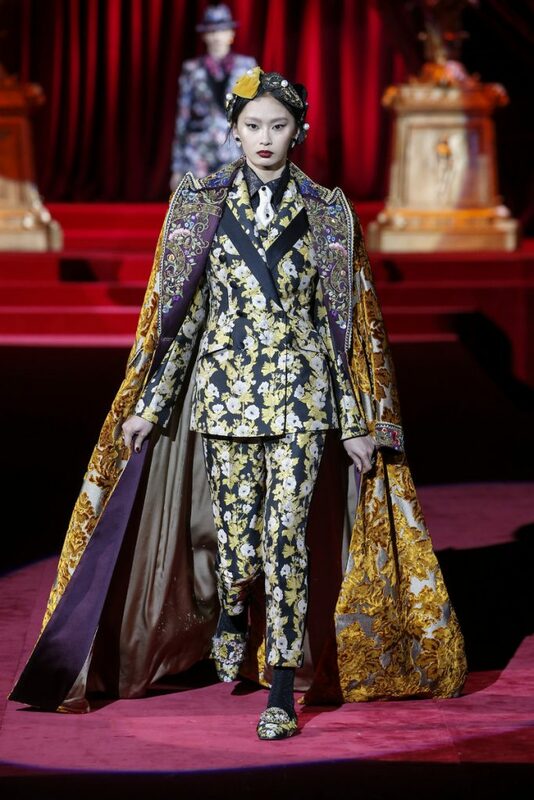 And like any other Dolce & Gabbana collection everything was kind of over the top. 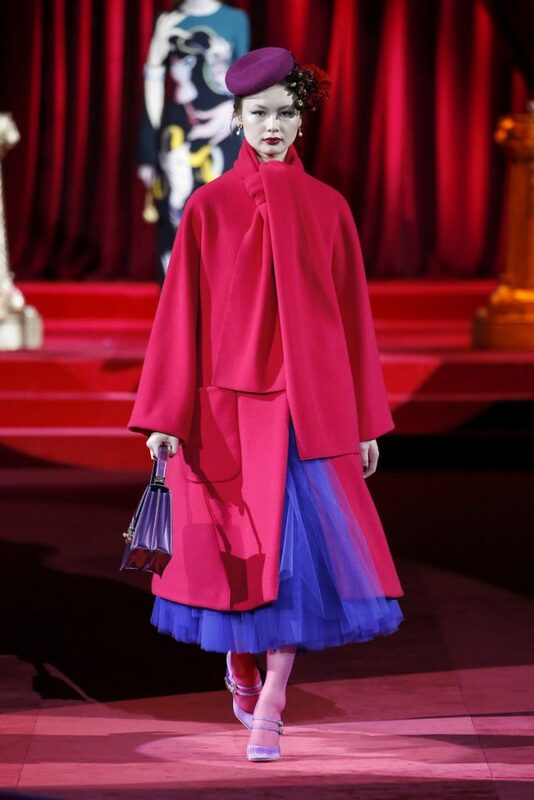 Most looks even had a royal touch to them. 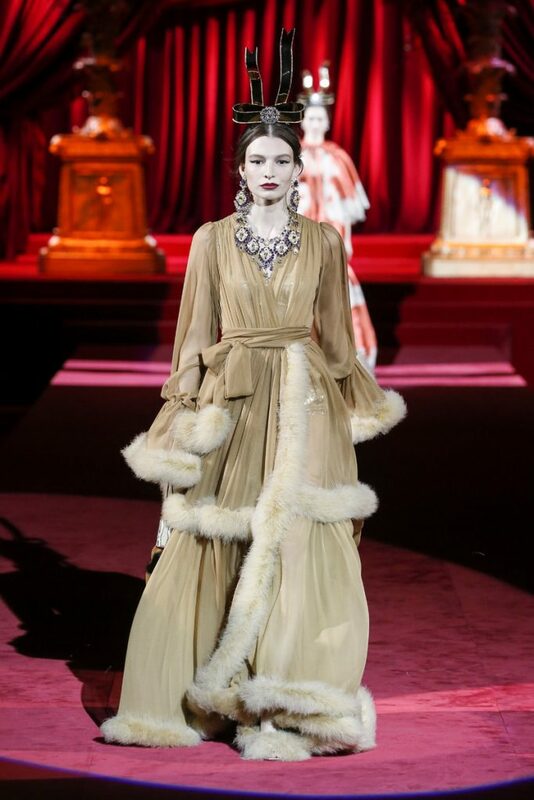 And as headpieces and jewellery were statement making the “more is more” dresscode certainly prevailed. 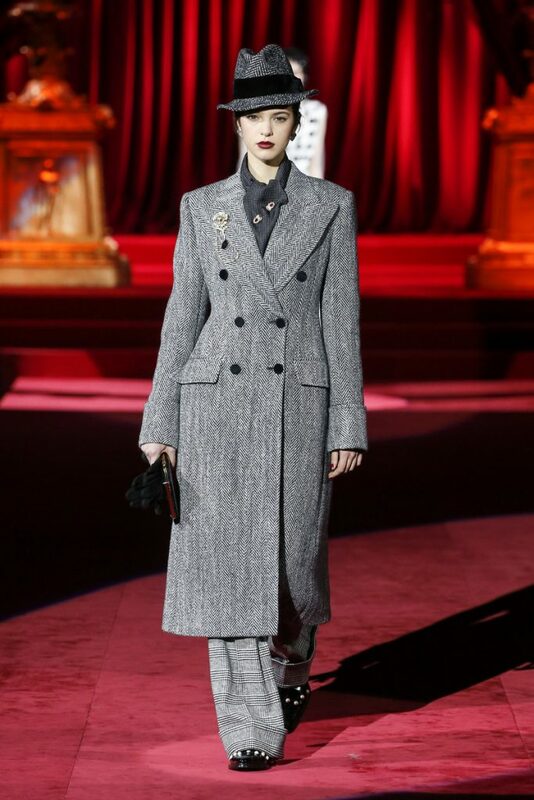 As far as trends concerned Domenico and Stefano are also moving towards tailored classics more instead of the sportswear trend we’ve seen for seasons now. 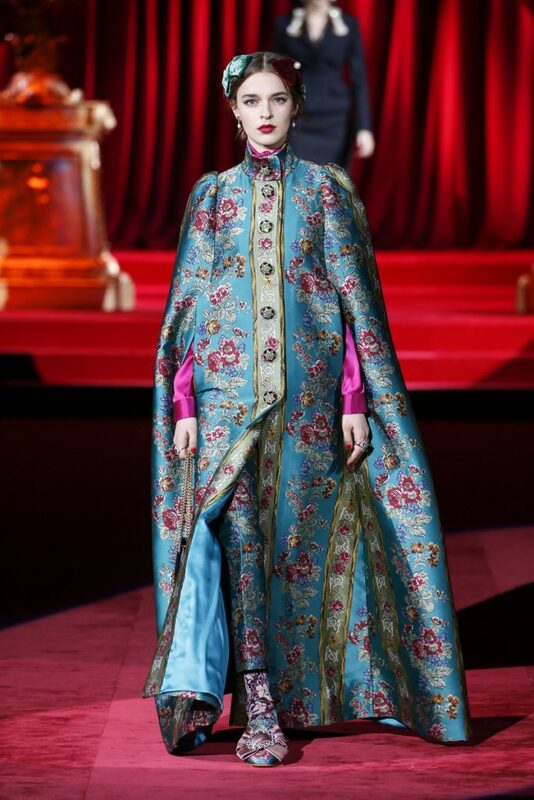 Molto Eleganza!